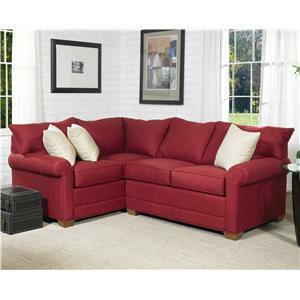 This versatile ottoman adds comfort to your sectional group. Used at the end of your sectional, you can position it to create a chaise lounge. 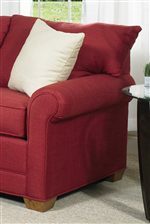 This ottoman gives your more options with your relaxing and entertaining because it can be moved to where you need it! The 110 Ottoman by Lancer at Wayside Furniture in the Akron, Cleveland, Canton, Medina, Youngstown, Ohio area. Product availability may vary. Contact us for the most current availability on this product. The 110 collection is a great option if you are looking for furniture in the Akron, Cleveland, Canton, Medina, Youngstown, Ohio area. 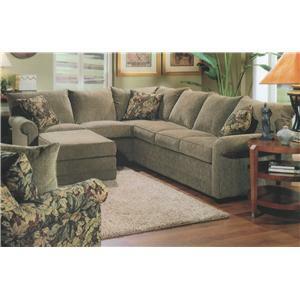 Browse other items in the 110 collection from Wayside Furniture in the Akron, Cleveland, Canton, Medina, Youngstown, Ohio area.